MainAll NewsRadioCan Fake News hurt immigration to Israel? Can Fake News hurt immigration to Israel? How vulnerable are prospective new immigrants making Aliyah to the rampant 'fake news' bombarding the media? 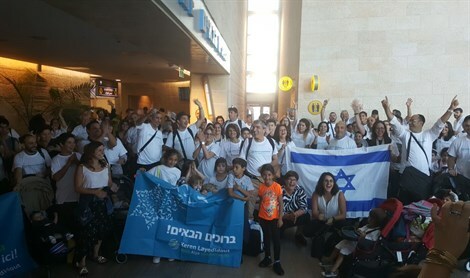 Dr. Sam Minskoff, a member of the Arutz Sheva Aliyah Team, discusses the virulent hateful fake news slamming against Jews and their promised homeland, Israel and how this can affect the Aliyah decision making process. Discussion also entails suggestions to combat or discern against such "convincing" lies in order to avoid getting caught up with them.